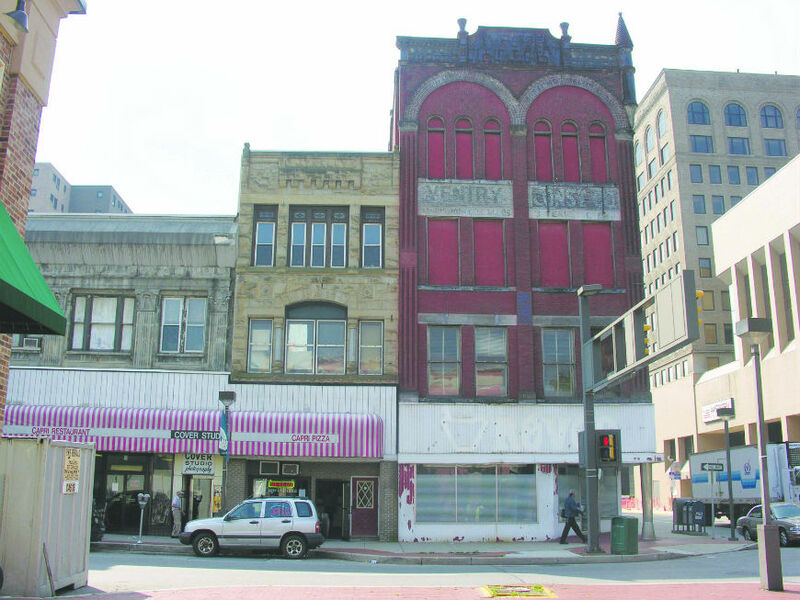 The National Historic District of Downtown Johnstown. 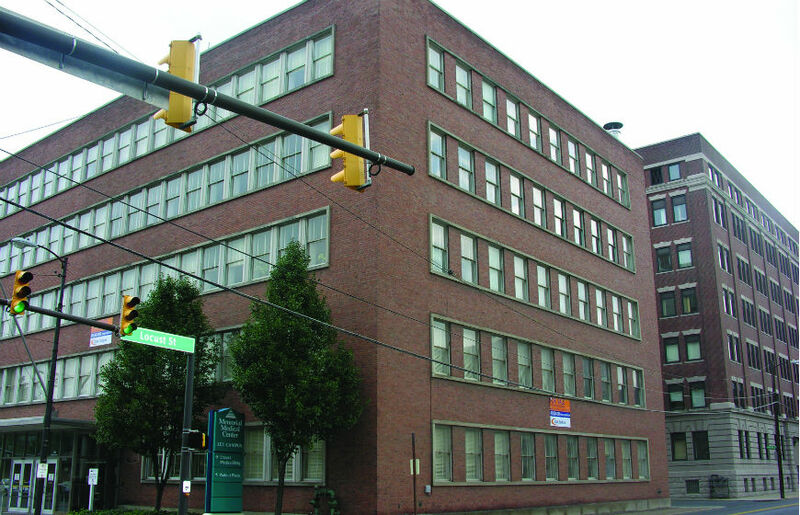 JAHA is grateful to 1st Summit Bank, whose support has made it possible to publish this walking tour. 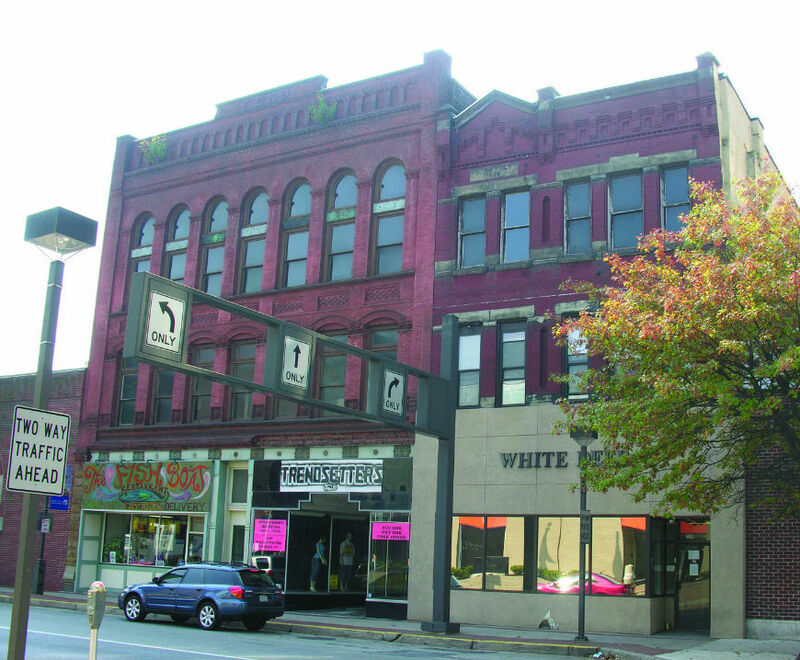 The Downtown Johnstown Historic District includes the core of the city’s central business district. 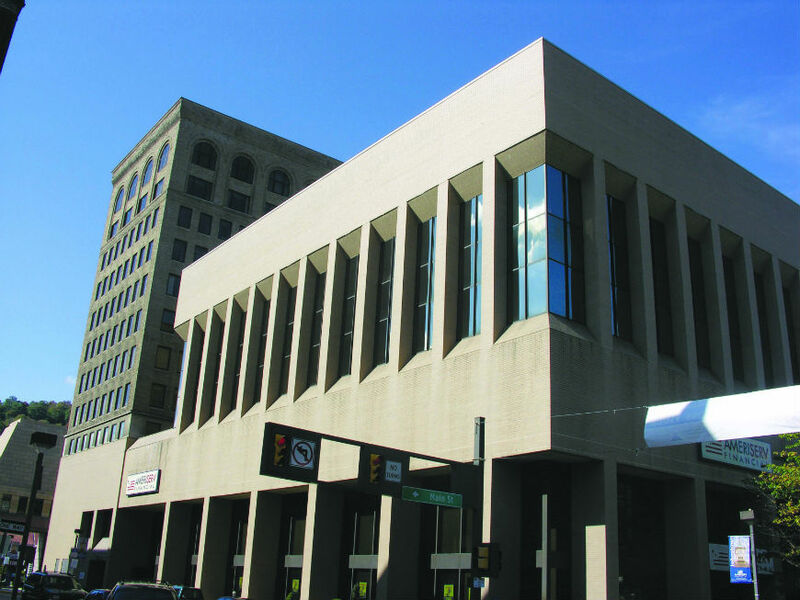 Like Philadelphia and other cities, Johnstown was designed as a commercial center by its founder. In 1800, Joseph Schanz (Johns) laid out a grid work of streets and alleys. Remarkably, most of what Johns envisioned can still be seen today. The site of City Hall, four corner parklets and Central Park are features remaining from the Johns plan. The Pennsylvania Canal reached Johnstown in 1830, and the Pennsylvania Railroad arrived in 1854. 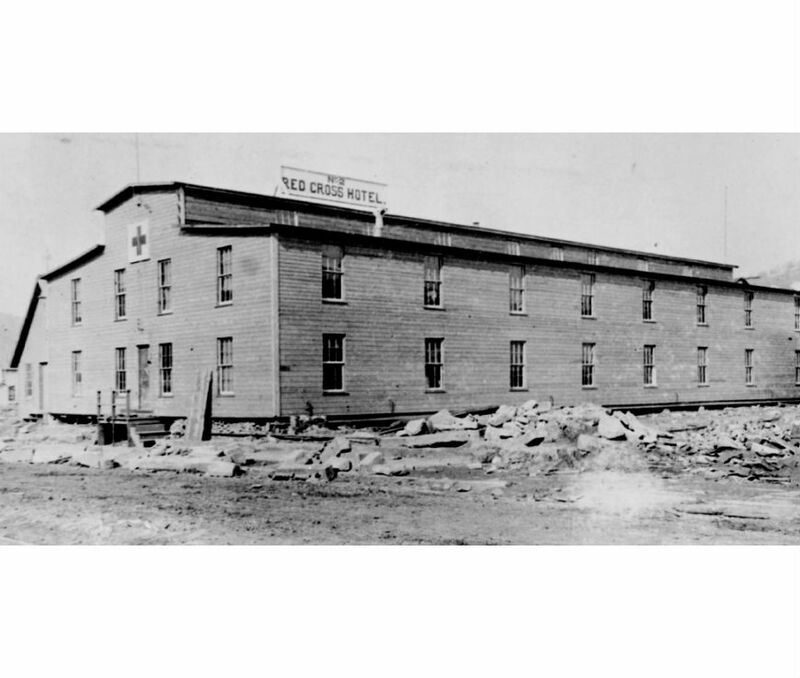 The Cambria Iron Company, also founded in 1854, became one of the iron and steel producers in the U.S. during the late 19th century. 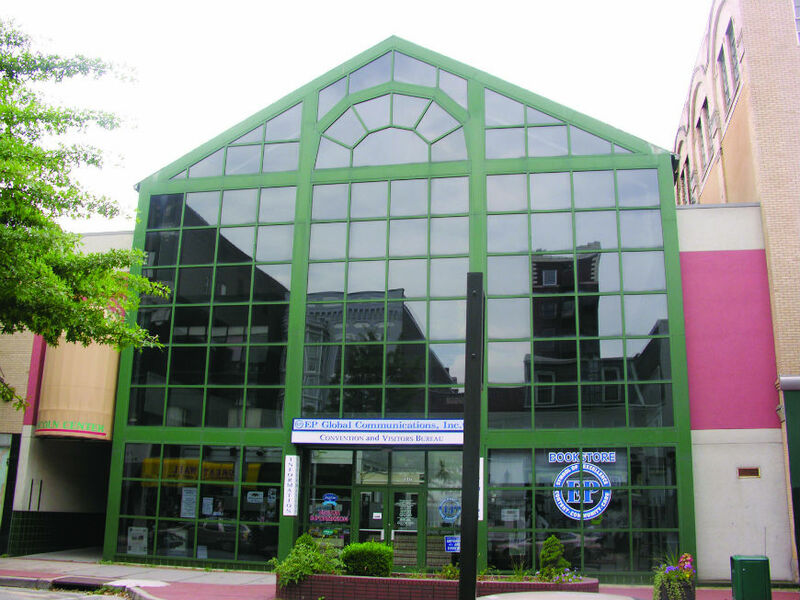 These forces concentrated governmental, service and retail operations in the central business district. 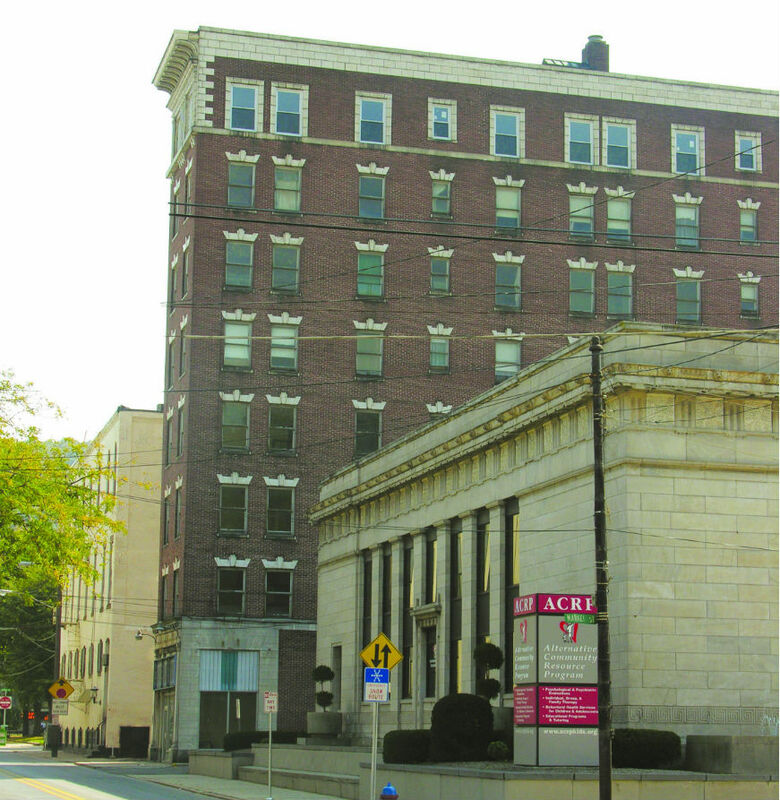 In 1901, there were 38 attorneys, 6 banks, 11 department stores, 13 restaurants, and 54 physicians in Johnstown. 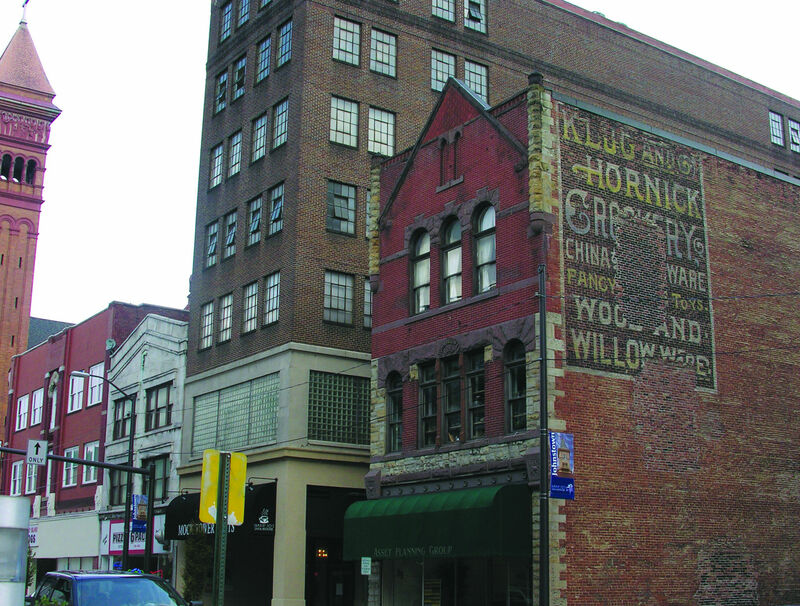 Most buildings that can be seen in the historic district today were constructed between 1890 and 1930. However, the city’s most important flood-surviving buildings are concentrated in the district. 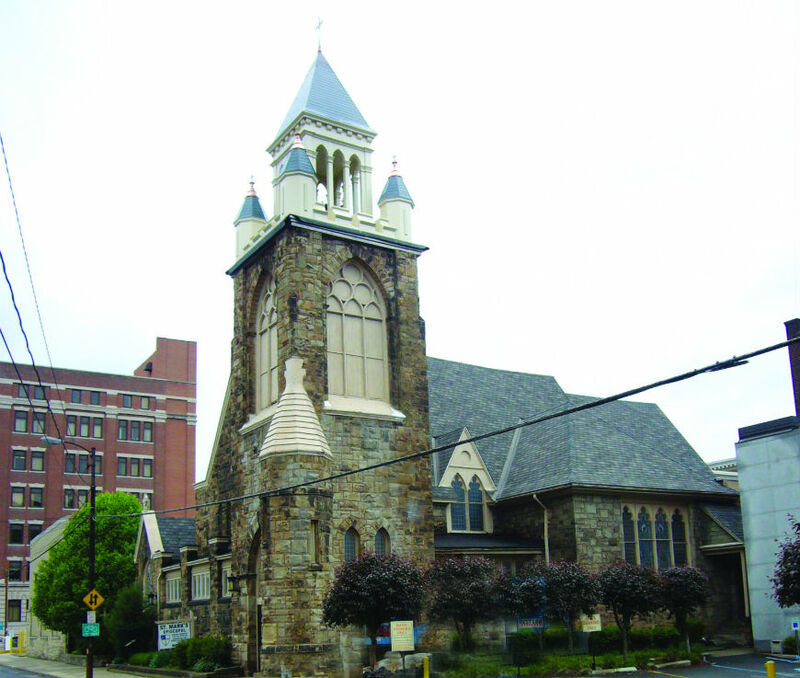 Most buildings in the historic district are commercial, although there are six churches, the post office, city hall, residences, and a museum. 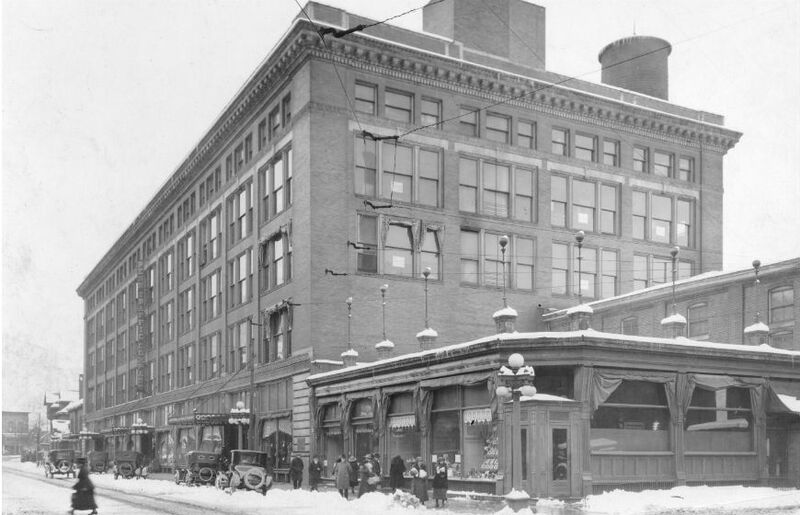 With the installation of an electrified trolley system after the 1889 flood, the downtown also developed as an entertainment center, with many theaters, restaurants and hotels. 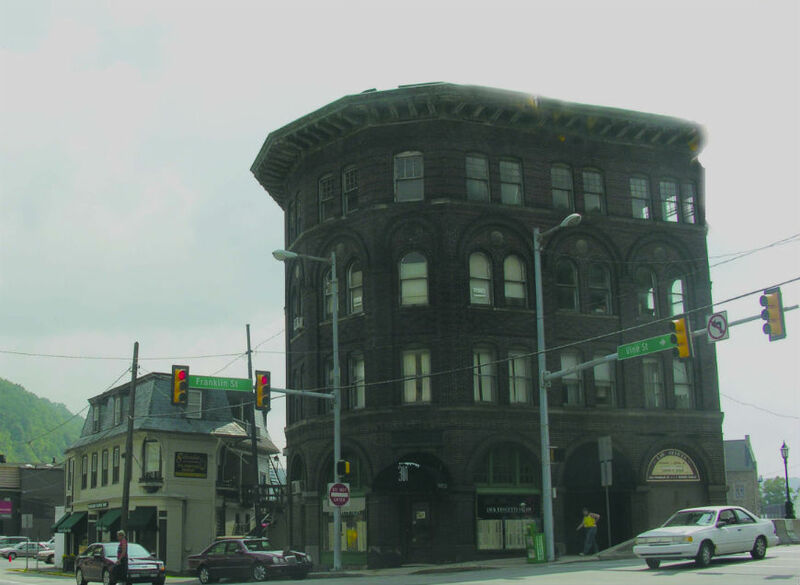 Architecturally, the district is significant as a cross-section of mid-19th and early 20th century styles. 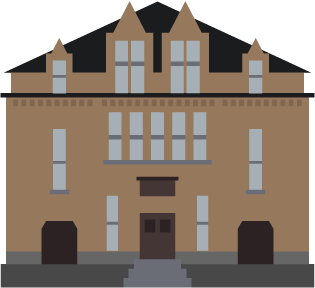 Architectural styles include Second Empire, Queen Anne, Romanesque Revival, Classical Revival, Gothic Revival, Art Deco, Art Moderne, Modern, Beaux Art, and others. 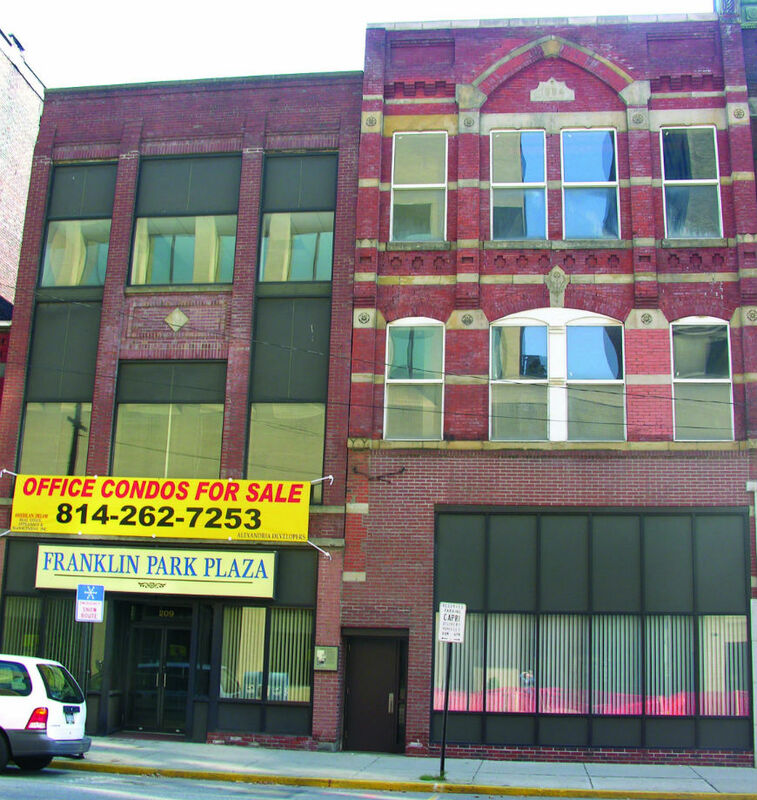 Your tour begins on the site of the former Swank building, which stood from 1907 through 2005. 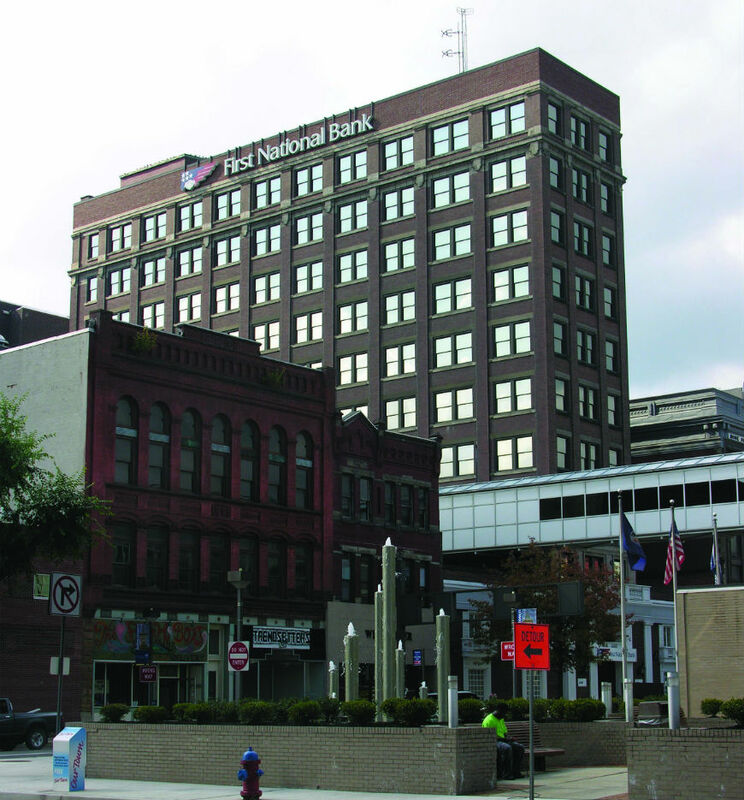 Today it is a 1st Summit Bank, at the corner of Main and Bedford Streets. GIS coordinates are included for the sites on the tour for those using GPS devices. To begin,download and print this downtown walking tour map, with markings to help you identify these historic structures. Each structure is represented by a contemporary image — where possible, we’ve also included a historic image. Completed in 1896, this is the most ornate of the downtown churches. It combines pressed brick, brownstone and rough faced terra cotta. Features include a wheel window, stained glass windows and a huge corner bell tower. Patterned after St. Mark’s in Venice, the church is one of the first examples of the use of structural steel in an ecclesiastical building. 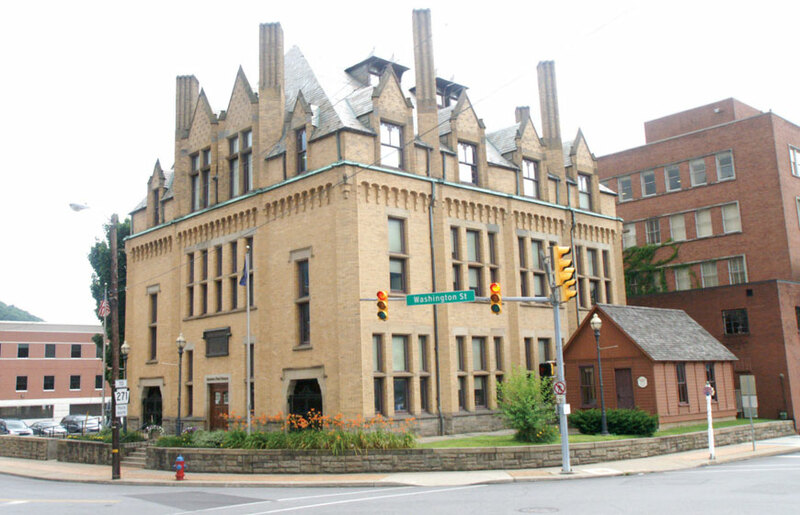 Built in the Gothic Revival style, its design is credited to mill designer and inventor George Fritz. 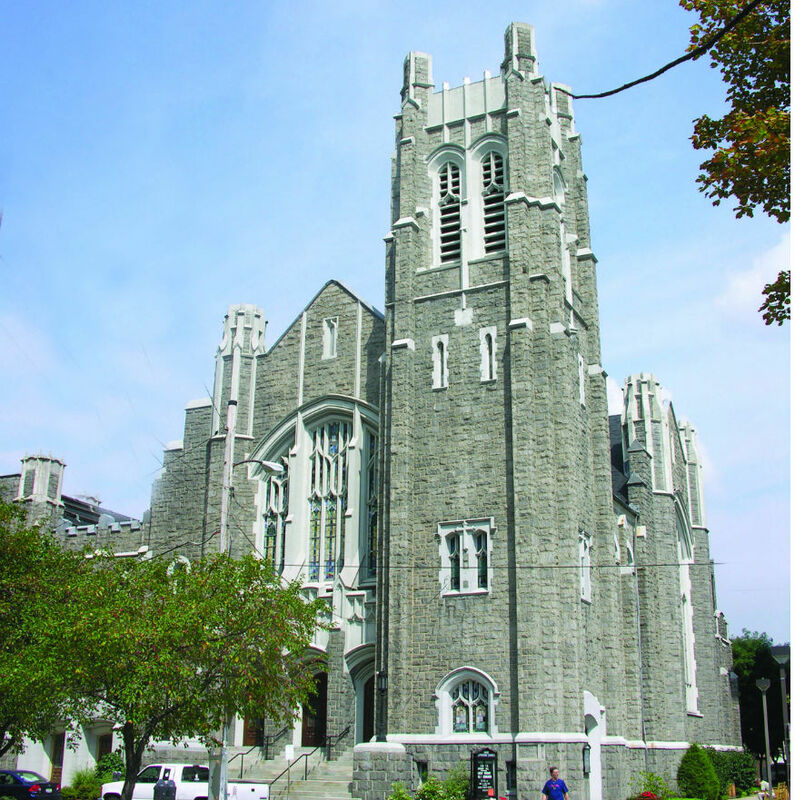 Constructed in 1869, the stone church has a steeply pitched roof, an 80-foot-tall corner spire, pointed arch window and door openings, buttresses and rose windows. The Chapman family survived mainly because their house stood close to the massive sandstone church, which took the brunt of the flood without a crack in its walls. 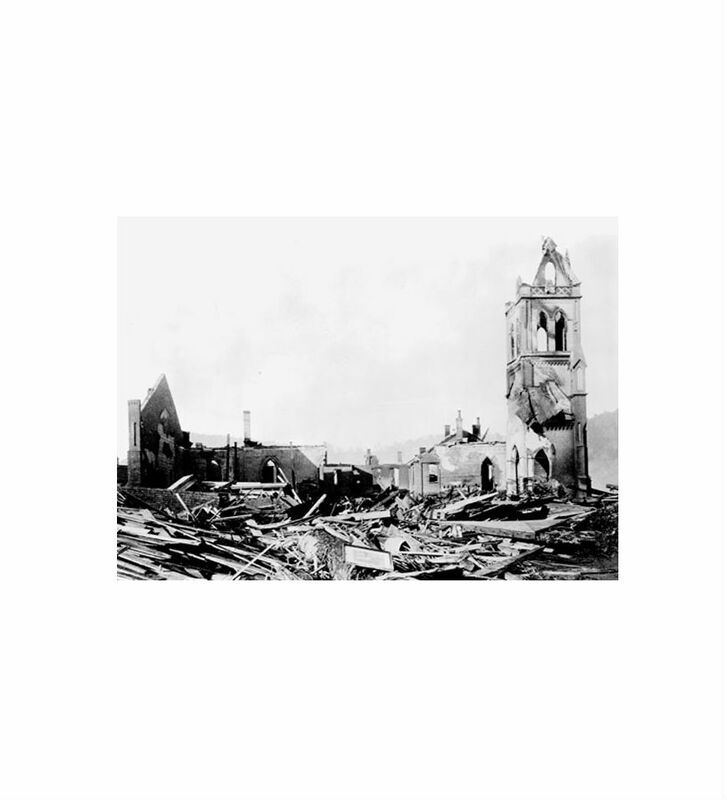 The flood wave parted around the church, and continued on its path of destruction across town. Several other buildings that stood in its protection were still intact when the waters subsided. Although no damage was done to the exterior, the church suffered serious damage inside. Water broke through the windows and poured into the sanctuary some 18 feet deep, causing the floor to cave in, ruining the plaster, and destroying the choir gallery and numerous pews. 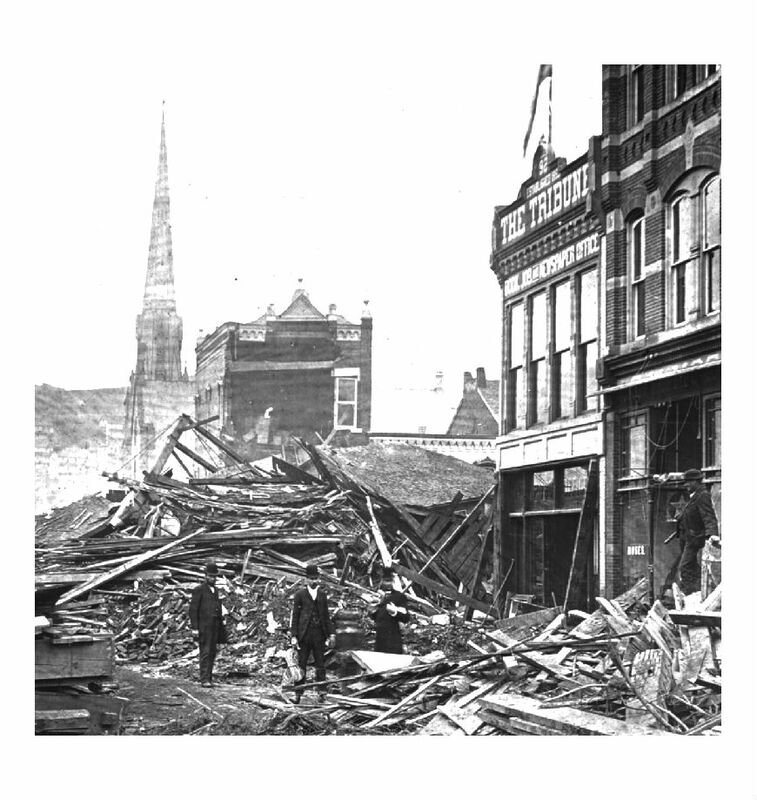 Later, a Citizen’s Committee in charge of reconstruction ordered the church dynamited and cleared away. Fortunately, the commander in charge of relief troops, recognizing its significance in protecting lives and property, placed a guard around the church to save it until the committee reconsidered that decision. 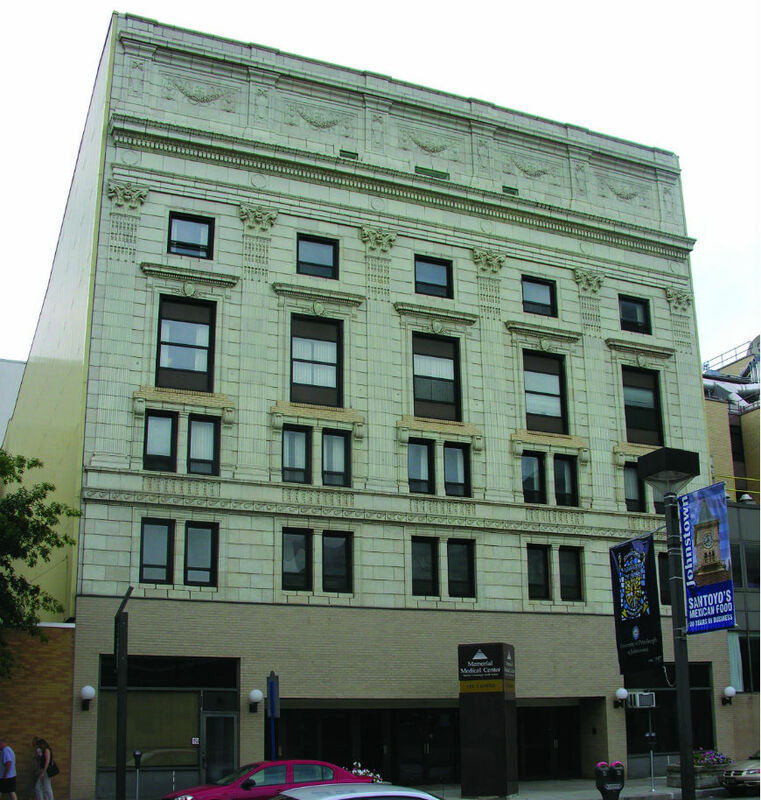 The oldest department store building remaining in Johnstown, the Ellis Building was constructed in 1905 in the Romanesque style. 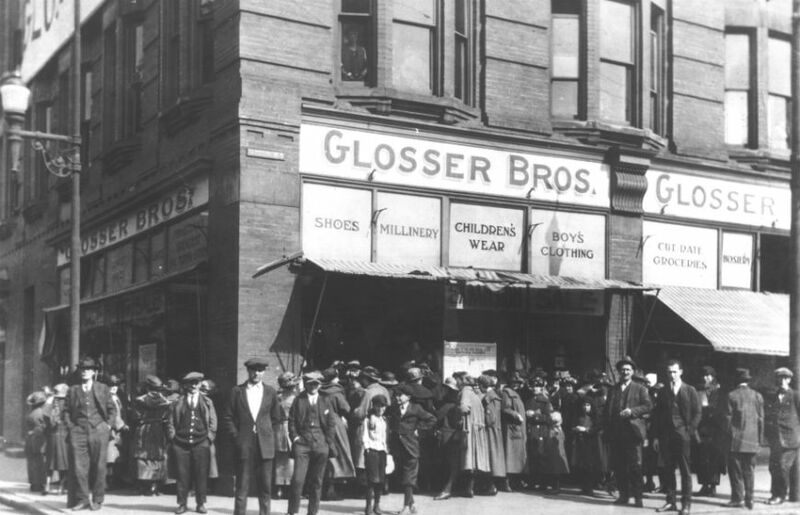 Louis Glosser established a tailor shop on the first floor in 1906. It is distinguished by a brick colonnade at the roofline, rounded windows, decorative arches, decorative brickwork, pilasters and projecting bay windows. The 1931 Art Deco addition features vertically aligned window bays and glazed terra cotta incorporating shell and plant motifs. Today the first floor is home to the Press Bistro, a popular restaurant for casual dining. Latitude: 40.32613; Longitude: 78.91760 (The historic image is of a ca. 1910 postcard). 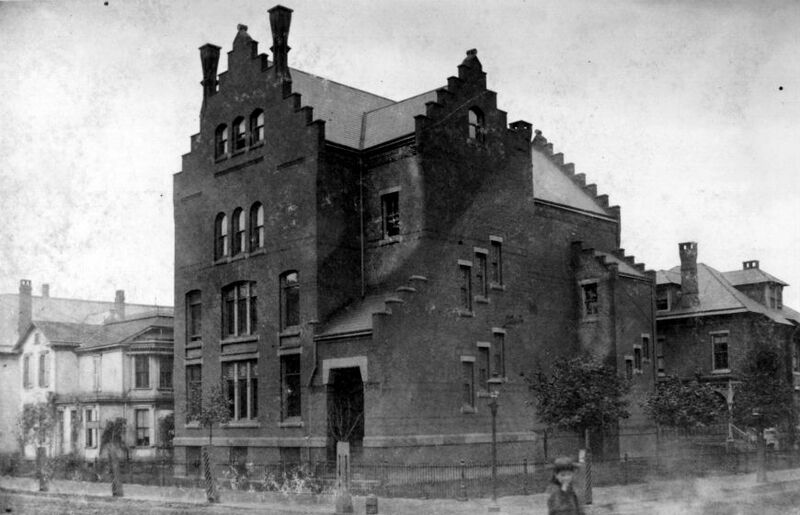 The Grand Army of the Republic chapter, which once had more than 300 members, constructed this building in 1893. It features Romanesque details including heavy round stone arches and carved stone sculpture representing military hardware including artillery, cannon, swords and bullets. The second photo in the slider dates from 1895, and shows the GAR Building on the right, with Central Park in the foreground. Latitude: 40.32622; Longitude: 78.9186914. 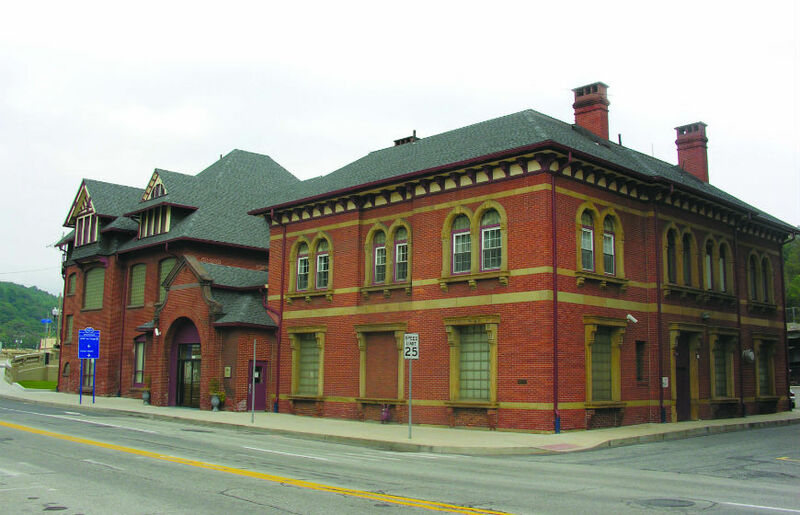 The business center of the Cambria Iron Company’s empire, this office building is a survivor of the Johnstown Flood. 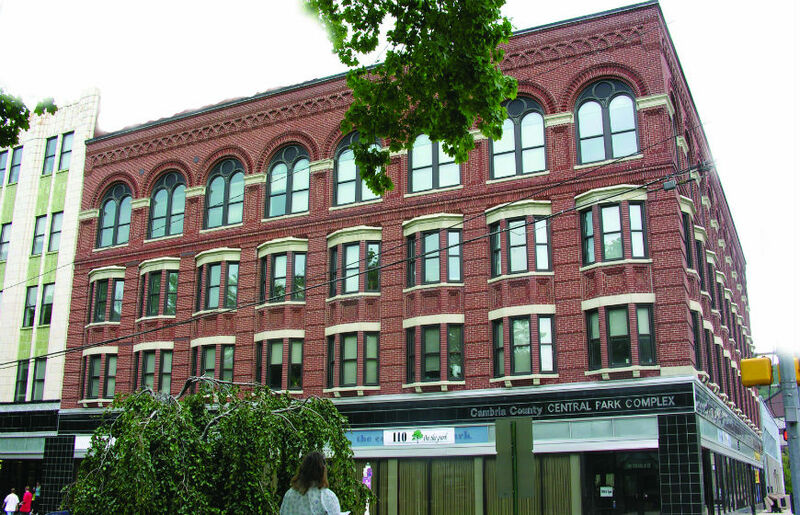 Its two sections, built in 1881 and 1885, reflect the changing popularity of architectural styles. The oldest section (western) is Palladian with its symmetry, hip roof, stone belt course, and stone window surrounds. The later section (eastern) has a contrasting Queen Anne design with asymmetrical massing, large dormers, and brownstone details. 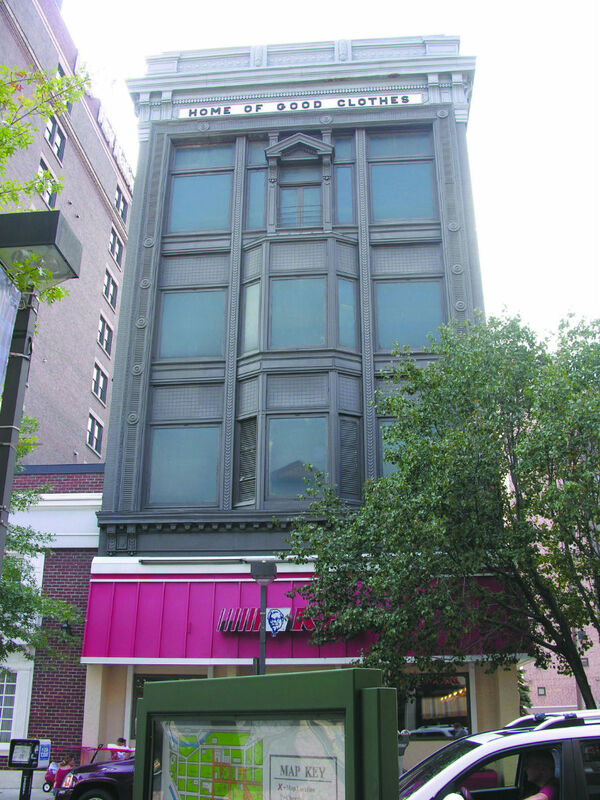 The building was designed by Addison Hutton, a prominent Philadelphia architect. 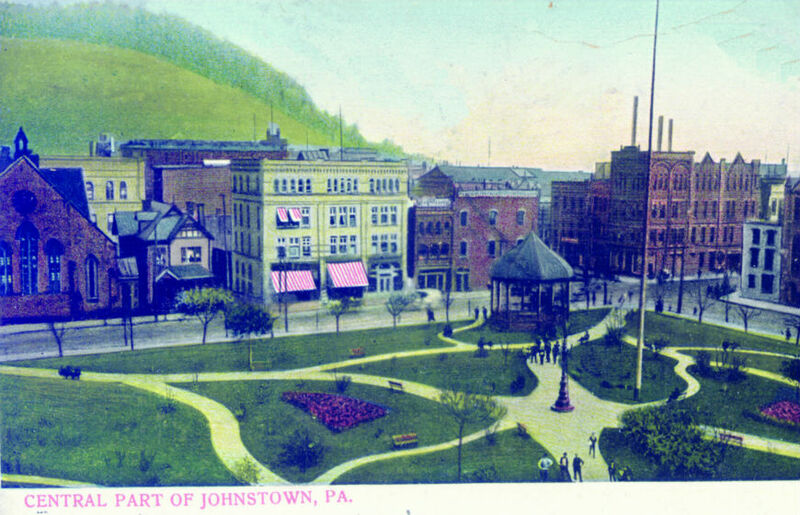 Johnstown was a company town in 1889. 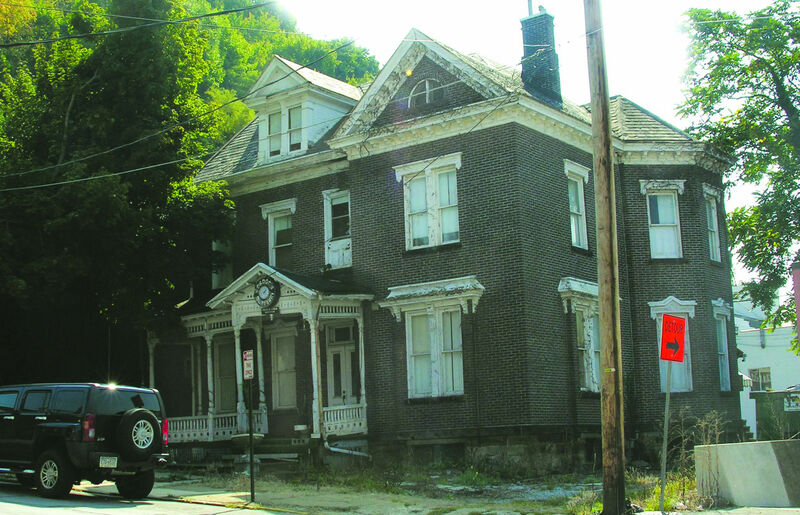 Some 7,000 men and women worked for Cambria Iron Company, and many of them rented one of the 700 company houses throughout the Conemaugh Valley. Groceries and supplies were purchased at the company store, and medical attention could be obtained at the company-financed hospital. Cambria Iron Company could afford such benevolence because at the time of the flood its holdings were well over $50 million. In addition to being one of the world’s leading steel producers, the company owned many collateral interests. Among these were thousands of acres of mineral lands, 35 miles of railroad track and some 1,500 railroad cars. 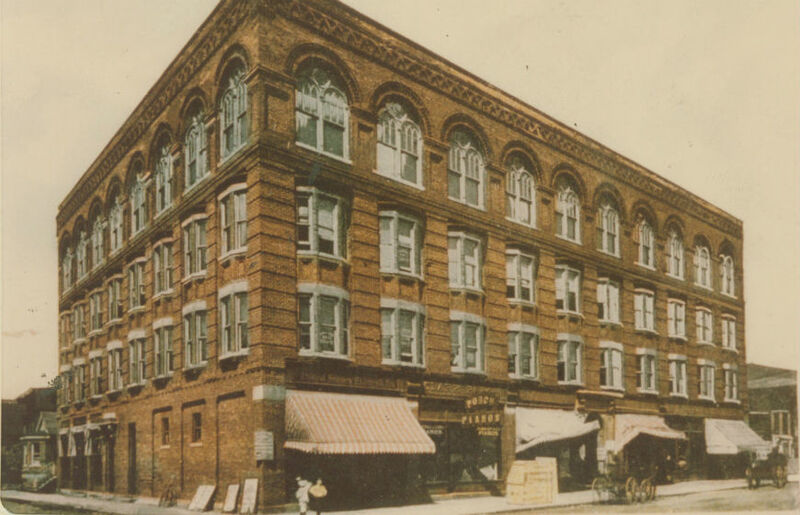 The company also held extensive real estate, such as a theater, a company executives’ club, shoe and furniture stores, wire, flour, and woolen mills, and several farms located on surrounding hillsides. This French Gothic style library was designed by the Philadelphia architect Addison Hutton. 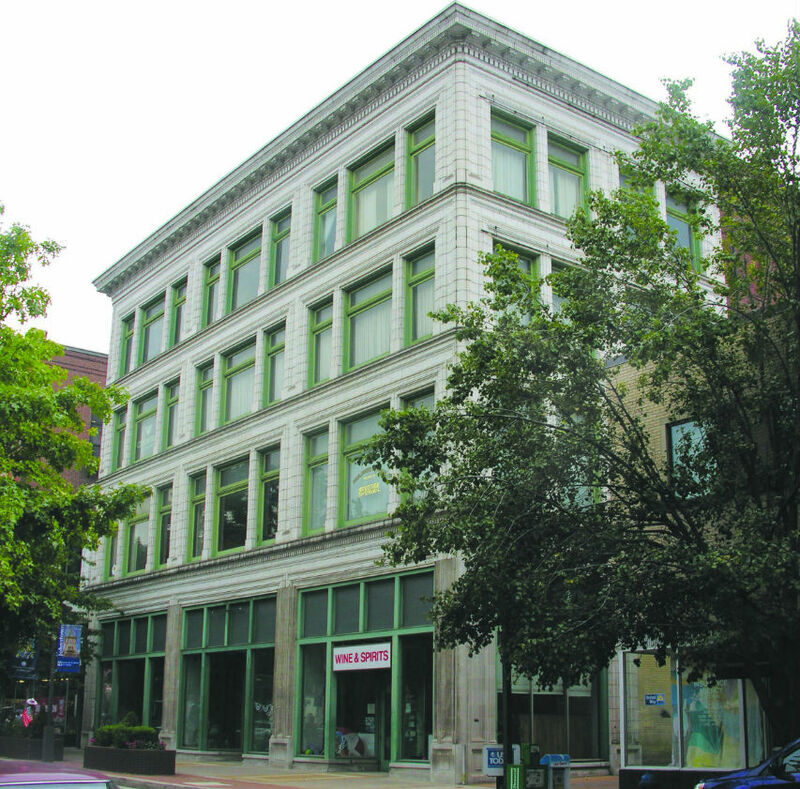 The oldest public building in downtown Johnstown, the Cambria Free Library was built in 1892. The two and one-half story French Gothic design is distinguished by its steeply pitched hipped roof, pointed dormers, slate roof, narrow windows and battlements. 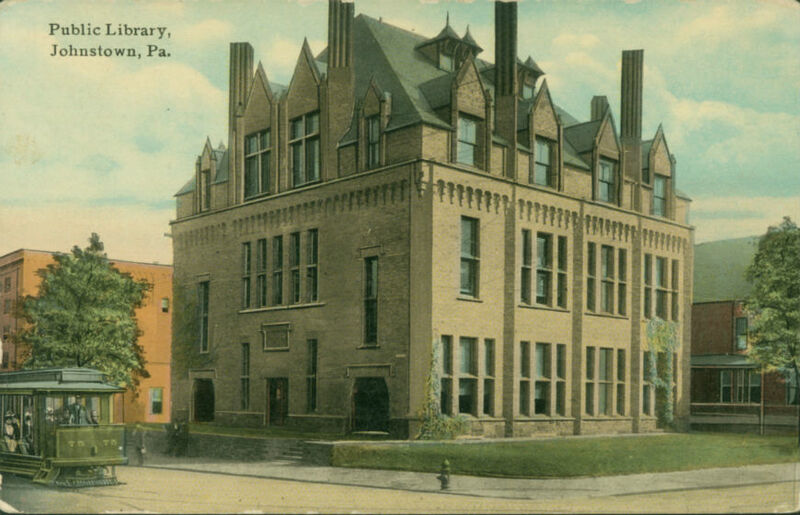 (In the slider above, you’ll find a contemporary photo of the museum, an early 20th century postcard of the building, and an image of the pre-1889 library, which was destroyed in the flood. The new library was constructed on the same plot of land). The building occupies the site of the former Cambria Library, which disappeared in the flood waters, along with its librarian. 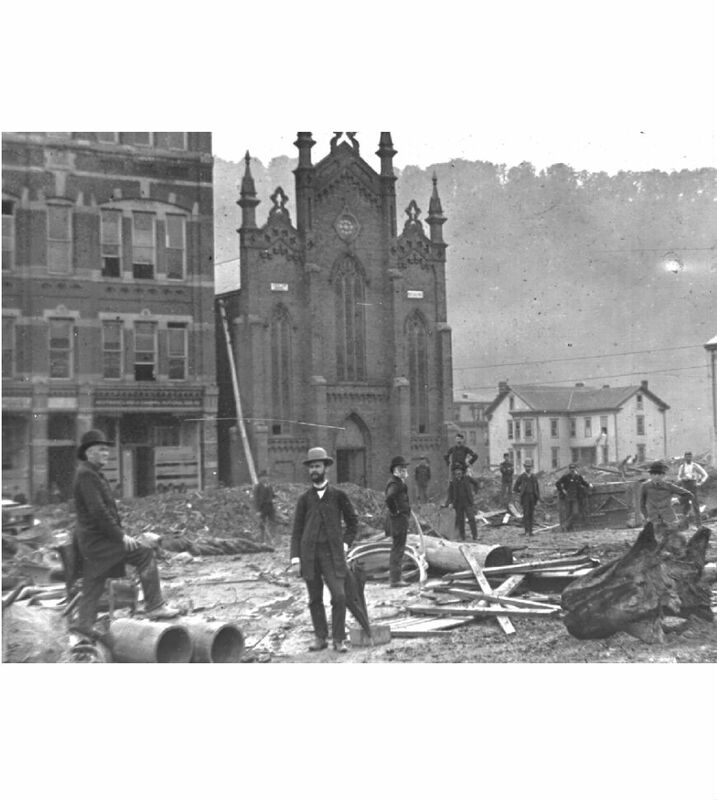 Four months after the devastating flood, Andrew Carnegie journeyed from Pittsburgh to visit the local steelworks and see the ruins of Johnstown. Carnegie donated the money to erect a new library on the same site. One of the nation’s richest men, he was better known in Johnstown as a member of the South Fork Fishing and Hunting Club. 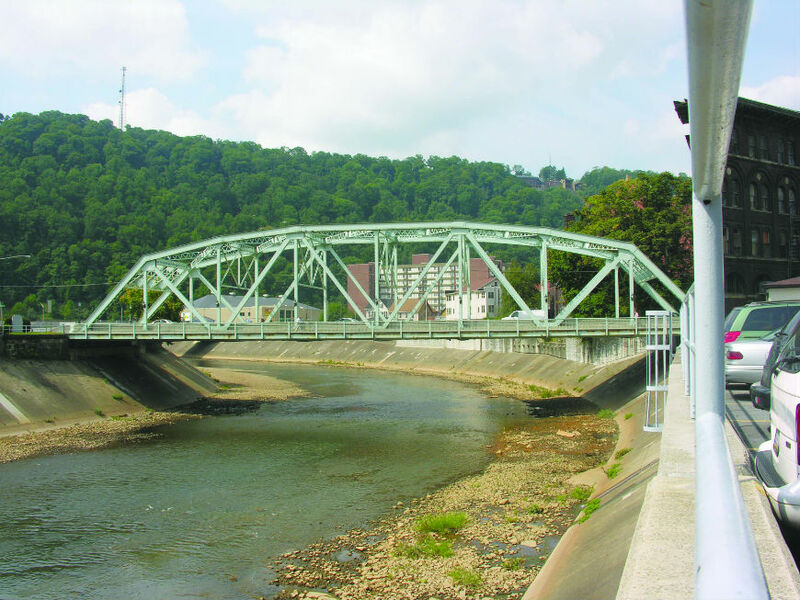 The club was responsible for the South Fork Dam, which gave way and sent 20 million tons of water rushing onto the city of Johnstown and the Conemaugh Valley. 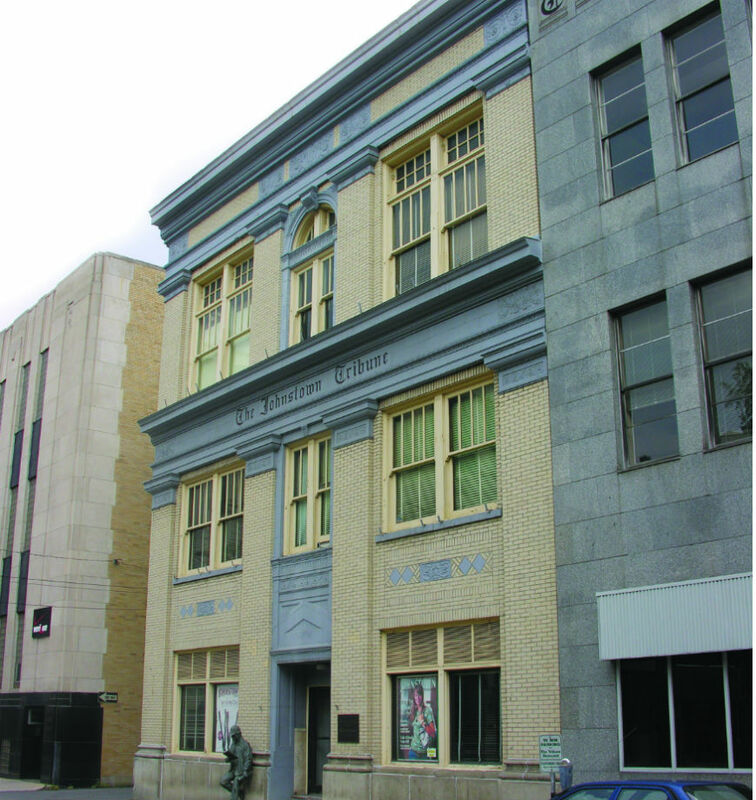 The new building was similar to Johnstown’s first library, which had been financed by the Cambria Iron Company. Like its predecessor, the new Library contained 8,000 standard works and had spacious, comfortable reading rooms. Its large, first floor auditorium was used for town meetings. On the third floor there was a gymnasium which included a large exercise track made of padded leather. The library proper was on the second floor. 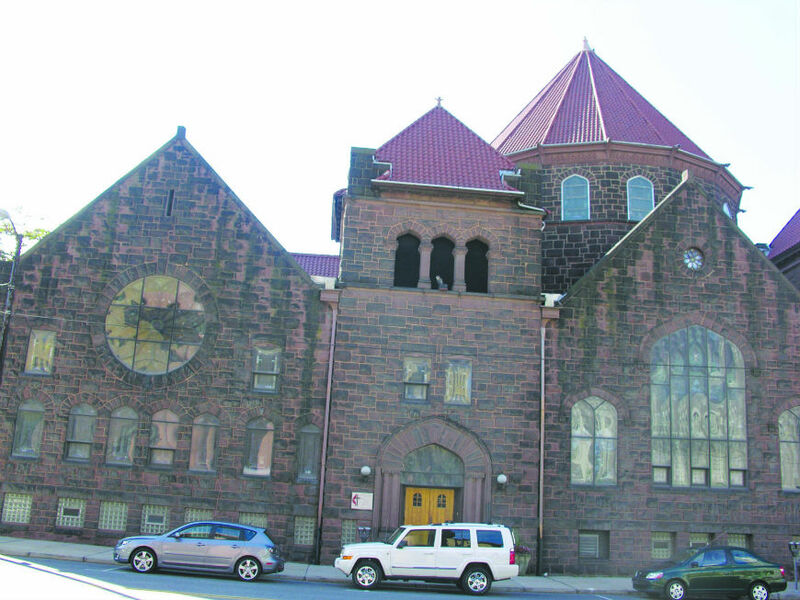 Erected in 1891, this Gothic Revival style church features a corner steeple, pointed arch windows and doorways, and battlement-like windows. 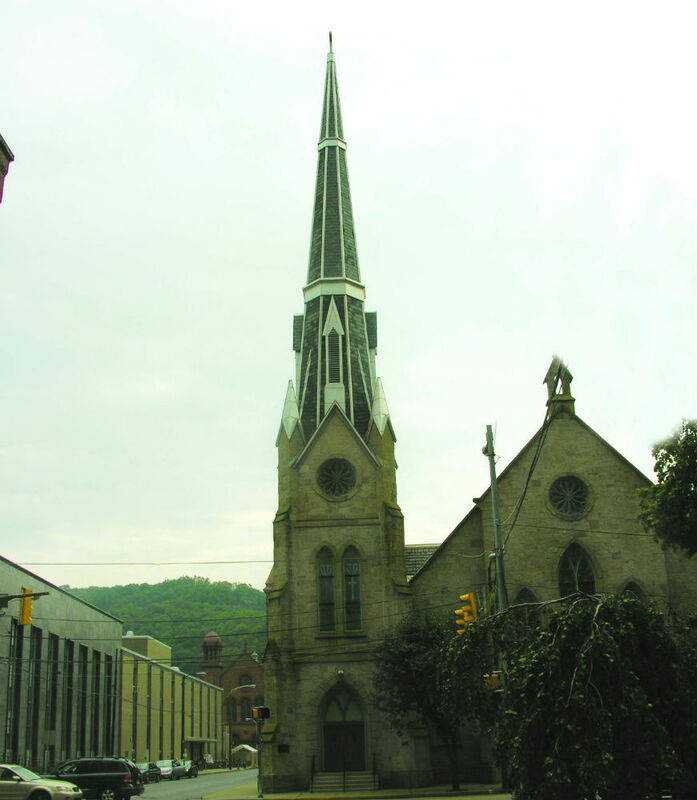 It replaced an 1874 Episcopal Church that was destroyed by the Johnstown Flood, in which the pastor and his family died. The church bell and other items are relics from the original church. But before the new church was constructed, the site was the location of one of the Red Cross hotels. 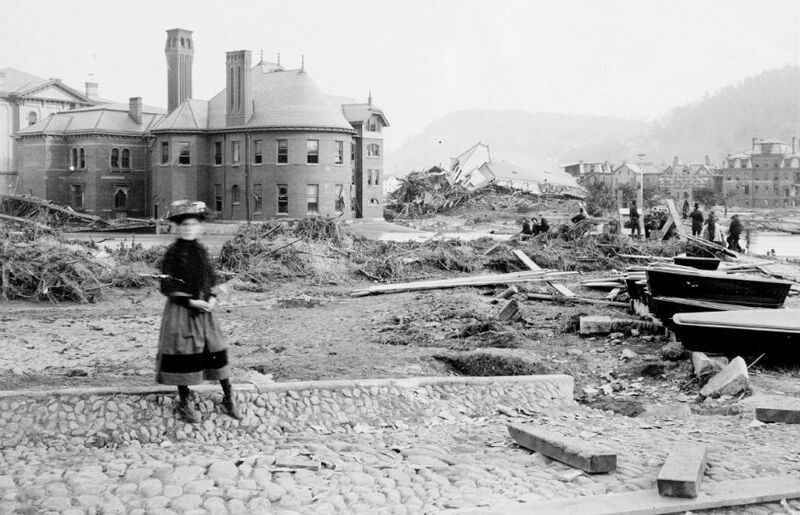 Responding to her first major disaster since the founding of the American Red Cross in 1881, Clara Barton arrived in Johnstown on June 5, 1889, accompanied by fifty doctors and nurses. At age 67, Miss Barton had abundant energy and worked relentlessly for the relief of the valley’s survivors. 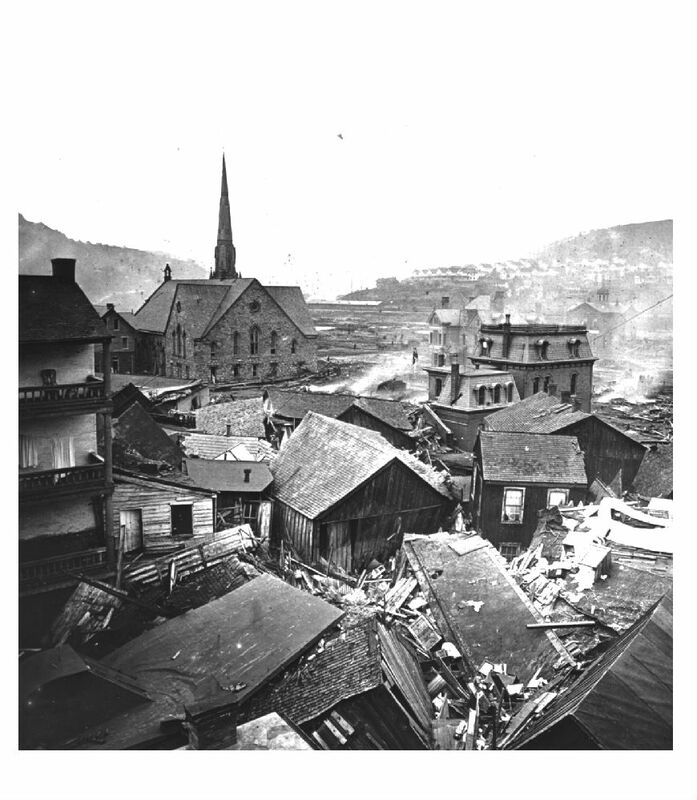 The Red Cross directly served over 25,000 victims of the Johnstown Flood. 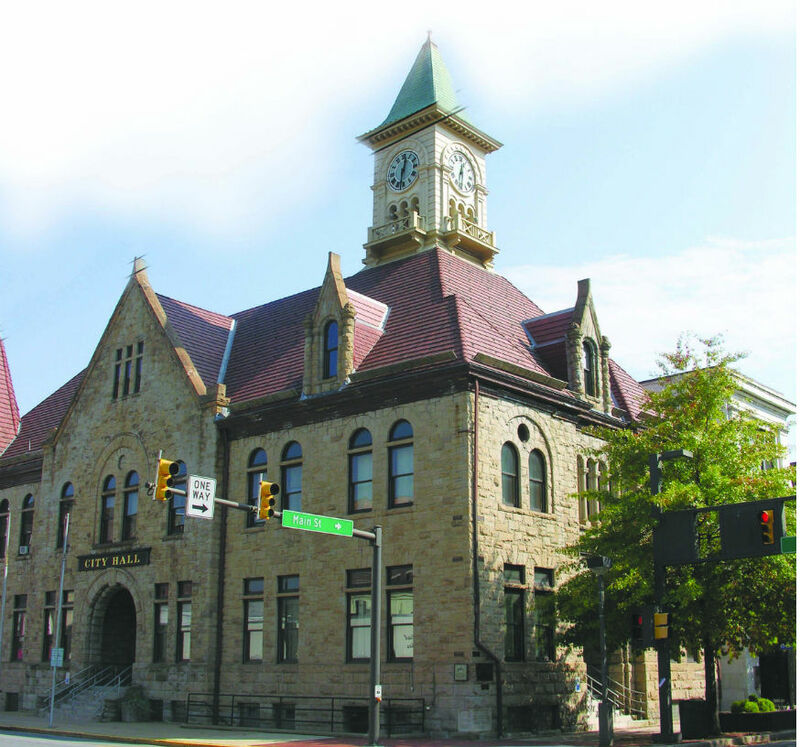 Constructed in 1900 to replace an earlier municipal building on this site, City Hall is attributed to Walter R. Myton and Charles Robinson of Altoona. This landmark incorporates a Richardsonian Romanesque design with a central tower. 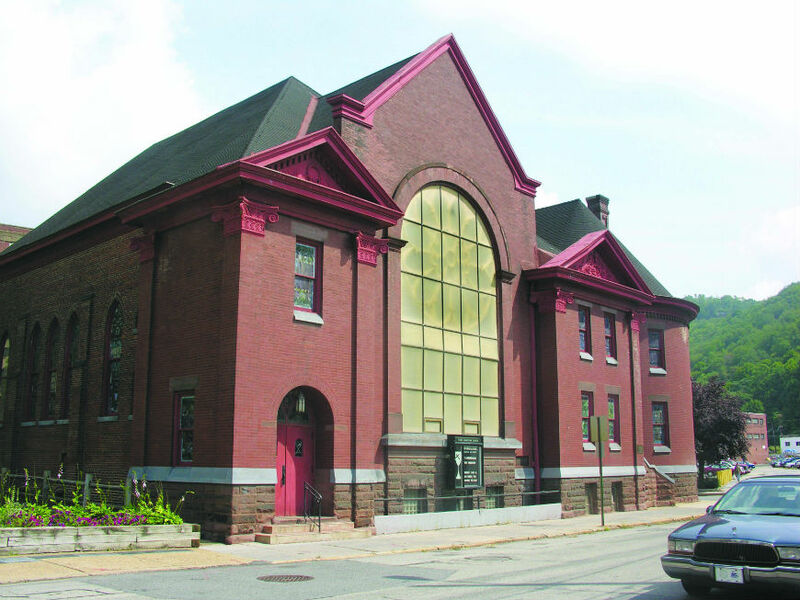 Myton went on to design numerous residences, churches, stores, and schools in Johnstown. 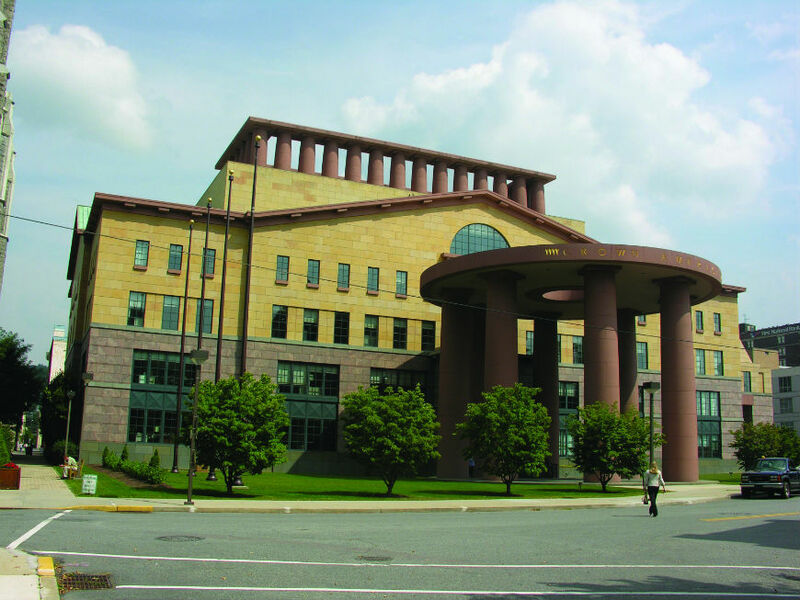 The new City Hall held special significance for the community. 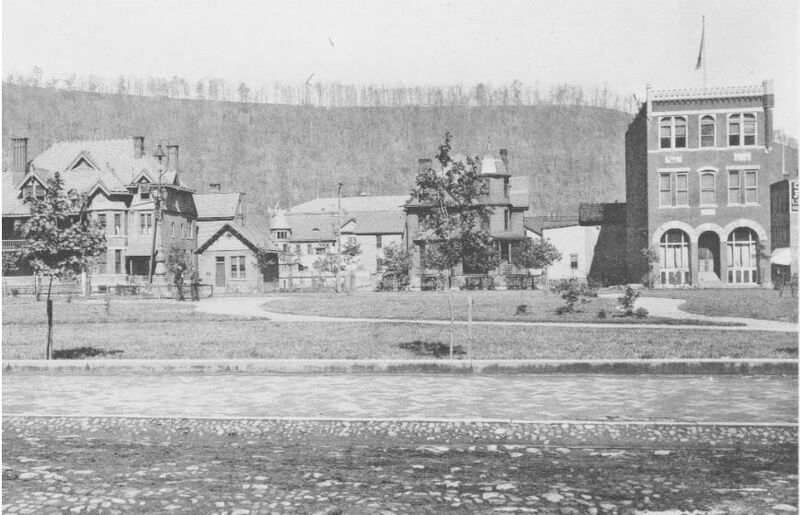 Here one of the flood’s most beneficial changes to the town took place – the consolidation of many of the valley’s small boroughs into the City of Johnstown. Before the flood, each borough guarded its governing rights. The survivors of these small communities were united by the flood in a bond of common cause and grief. 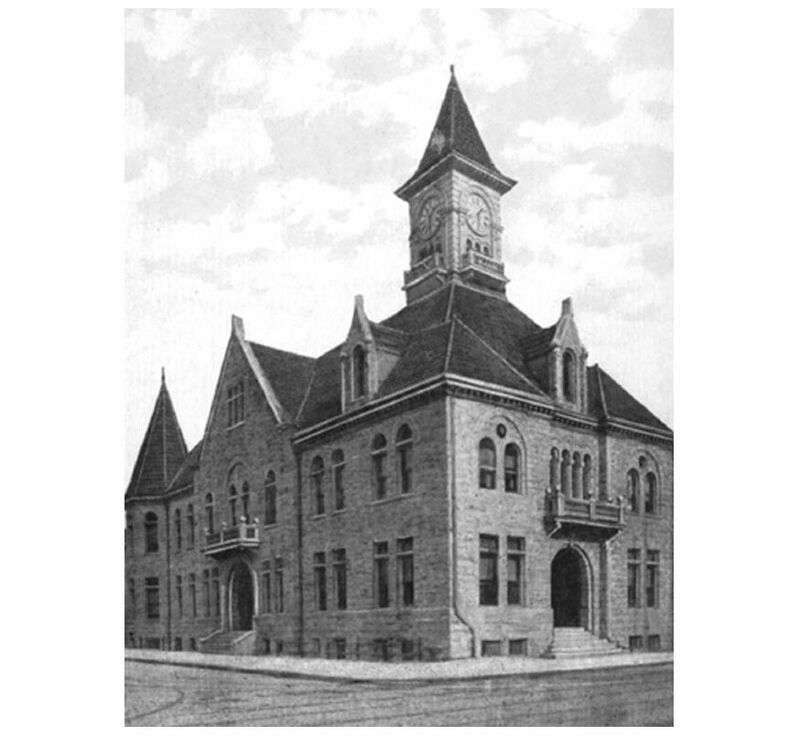 Rebuilding together made sense, and consolidation was approved by voters in on November 6, 1889. 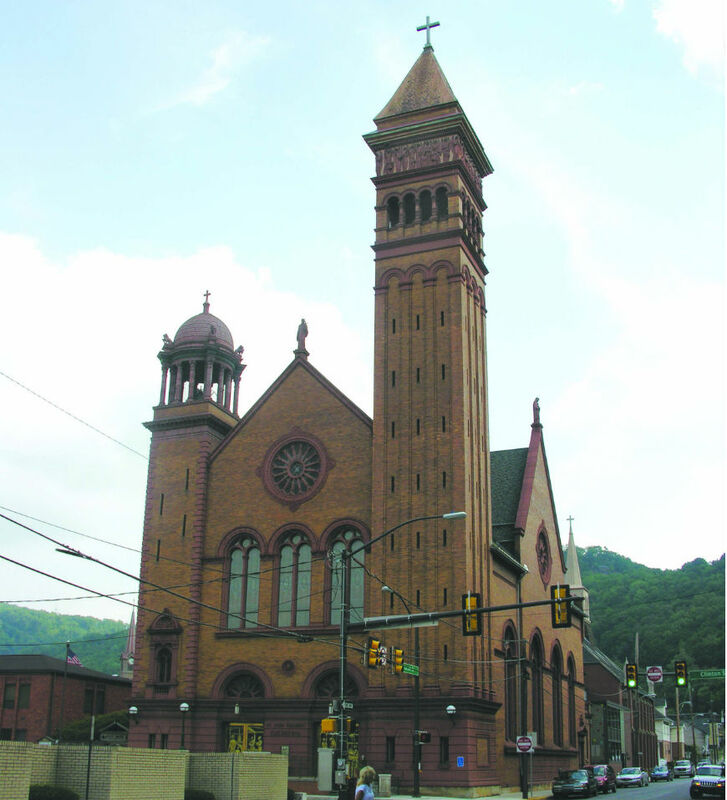 This Presbyterian Church was dedicated in 1866, located midway along Johnstown’s principal business row. The pastor of the church, Reverend David J. Beale, lived in the new parsonage behind the church with his wife and children. 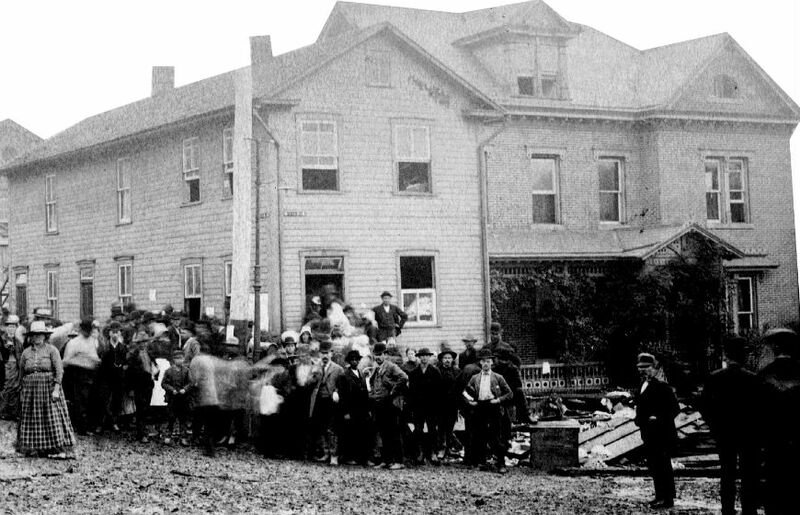 The Beales, after the flood wave hit, climbed out over the wreckage and found refuge at Alma Hall. Both the church and the parsonage were spared. Although the church was still intact, it was greatly damaged inside by the water that submerged all its pews. For weeks after the flood, the church served as one of the valley’s six temporary morgues. 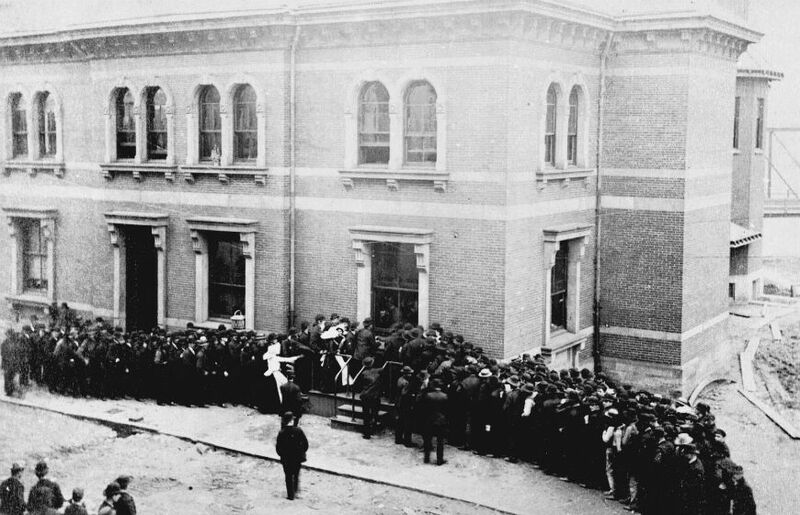 As bodies were found, they were brought to the church, where volunteer undertakers from Pittsburgh and other parts of the state embalmed them. Special care was taken to record any recognizable features. Clothing was also described to help survivors identify lost family members. Many of the dead were beyond recognition when they were pulled from under debris. Of the 2,209 total dead, 755 remained unidentified. These lie in a special memorial plot dedicated to the Unknown Flood Victims in Grandview Cemetery. 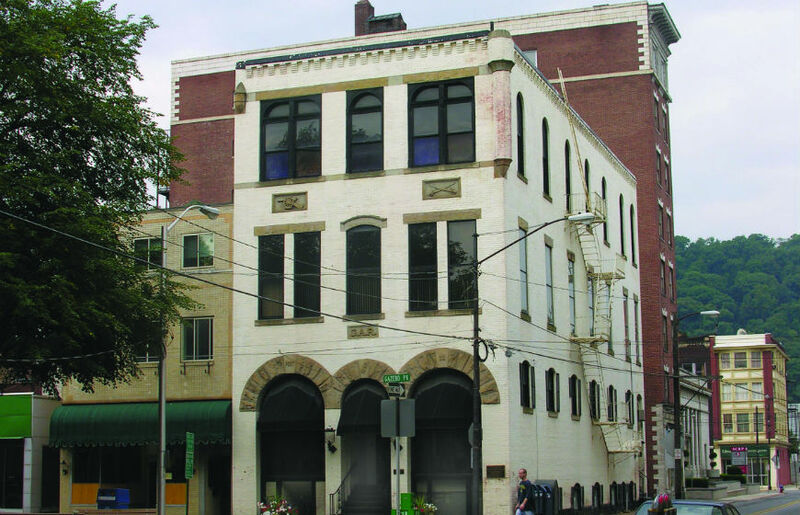 Built by the Independent Order of Odd Fellows in 1884, this Queen Anne style landmark is the oldest building constructed by a fraternal organization in the downtown district. It is still the headquarters for Alma Lodge 523 of the Independent Order of Odd Fellows (I.O.O.F.). Shielded by the Methodist Episcopal Church, it survived the flood wave and gave refuge to 264 people during the night of May 31. 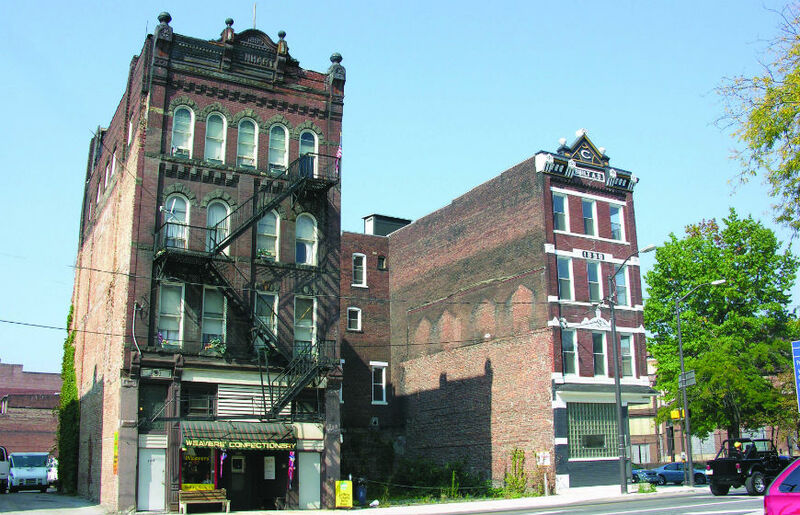 This four story brick building was the tallest in Johnstown when constructed in 1884 in the Queen Anne style. Its decorative facade treatments include incised artwork on inset stone blocks, elliptical brick arches, and corbelled brickwork. 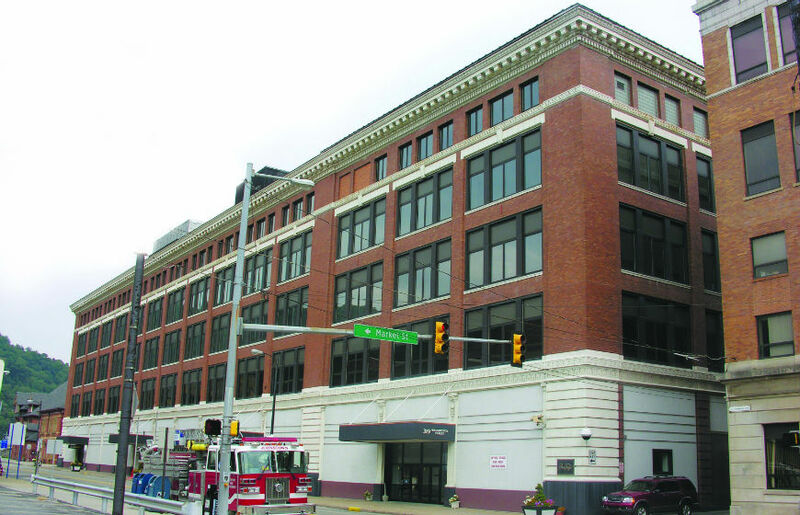 Office space was rented out on the first and second floors. The third and fourth floors contained meeting halls. After the flood hit, the first floor was under water. 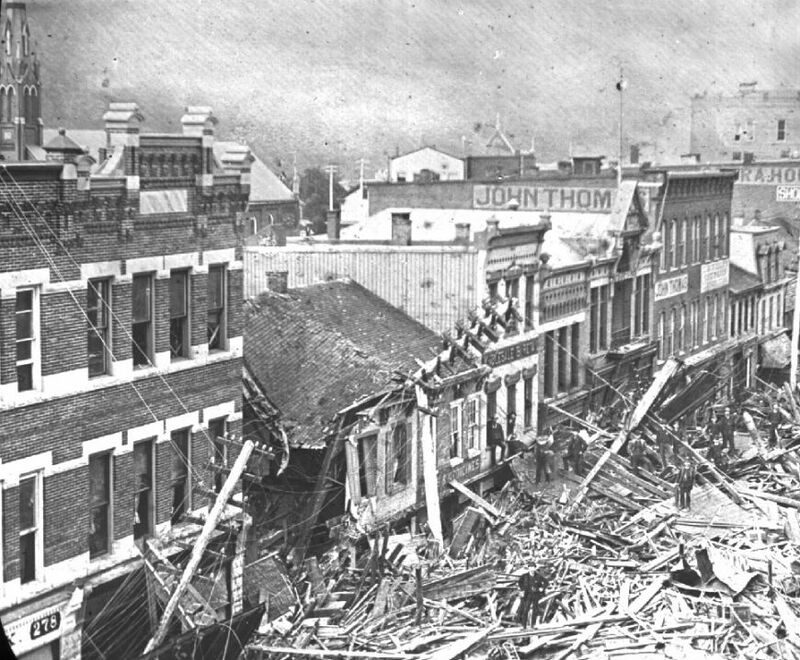 Survivors from all over the valley were swept into the vicinity of the building. Many struggled over the wreckage, submerged in water 18 feet deep, and climbed into the Hall through second story windows. 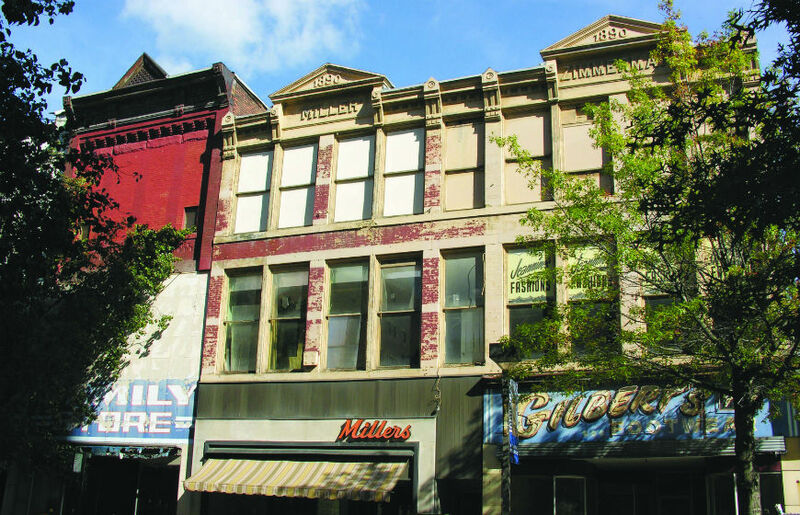 James M. Walters, a Johnstown lawyer, was thrown into his own office window when the rooftop he was on crashed into the building. While it was still light, some men in the Hall took a rope and went out on the wreckage to help rescue other survivors. 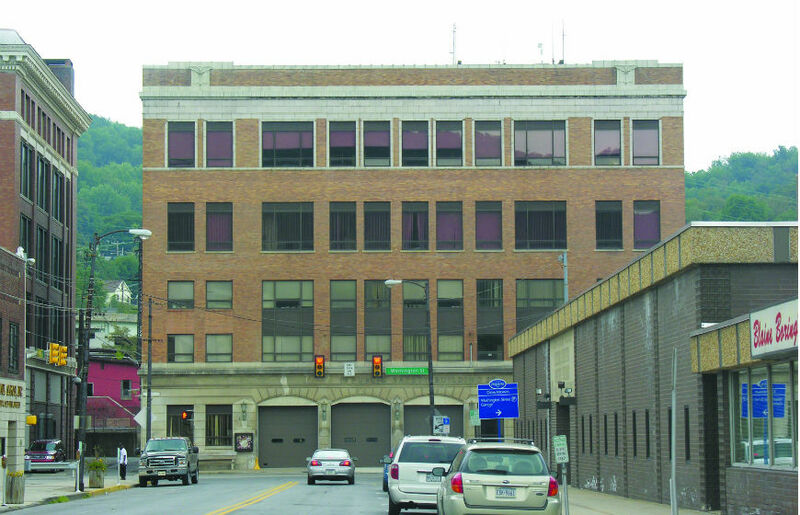 Walters was elected as director of the building and along with three other men was placed in charge of the hundreds of people gathered on the second to fourth floors. Women and children were made as comfortable as possible, and prayers were led by Reverend David Beale. Strict orders were given that no one was to turn on any of the gaslights, for fear that escaping gas might cause the building to explode. Alma Hall sheltered some 264 people during the night following the flood. In the course of the night two babies were born. Suffering from three cracked ribs, Dr. William Matthews did his best to attend to these newborns and numerous other survivors with injuries. 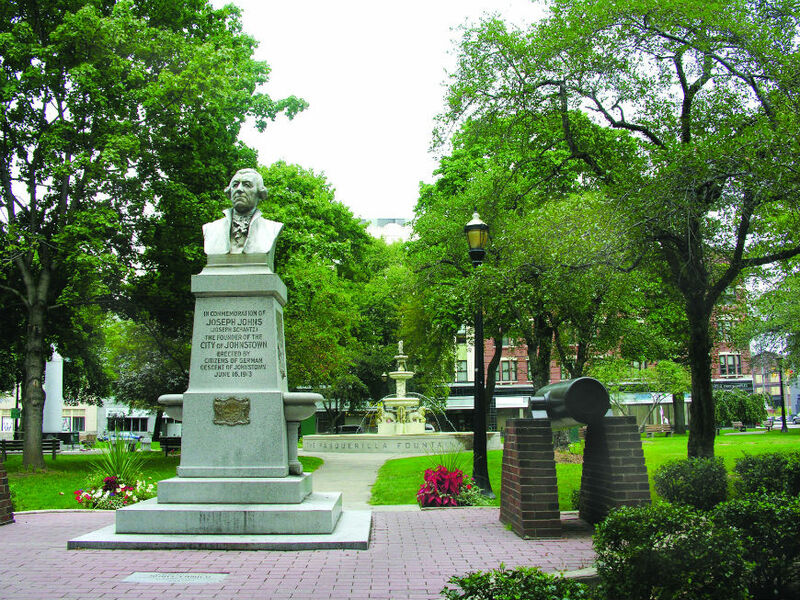 This park was designated as public space by the town’s founder, Joseph Johns, when Johnstown was first chartered in 1800. By the mid-l9th century, a firehouse, butcher shop, jailhouse, and a large market stood here on the public square. 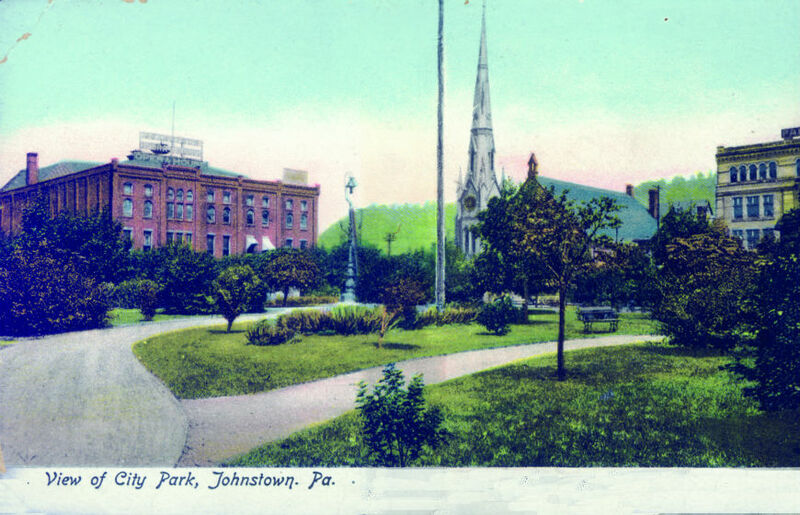 In 1833, the first circus in Johnstown was held in the Park. During the Civil War, soldiers used Central Park as a drill field. Children came with their parents to see circuses or watch the town’s two baseball teams, the “Kickenapawlings” and “Iron Club,” practice. In 1872, the grounds were cleared of all buildings and laid out as a formal park. There was an ornate water fountain in the center. Nearly 100 planted trees offered shade in the summer. It was a small, quiet oasis in a busy industrial town. The years of landscaping were wiped out in seconds by the flood wave. When the waters receded, debris 10 to 15 feet high filled the park. Within four days the wreckage was cleared to make room for tents that would house the 14th Regiment from Pittsburgh. After the troops departed, the park was lined with temporary wooden stores for about a year. The square was finally restored as a park, and new trees were planted. Today the park even includes a large, ornate fountain, donated by Frank Pasquerilla and very similar in style to the original fountain from the 1880s. 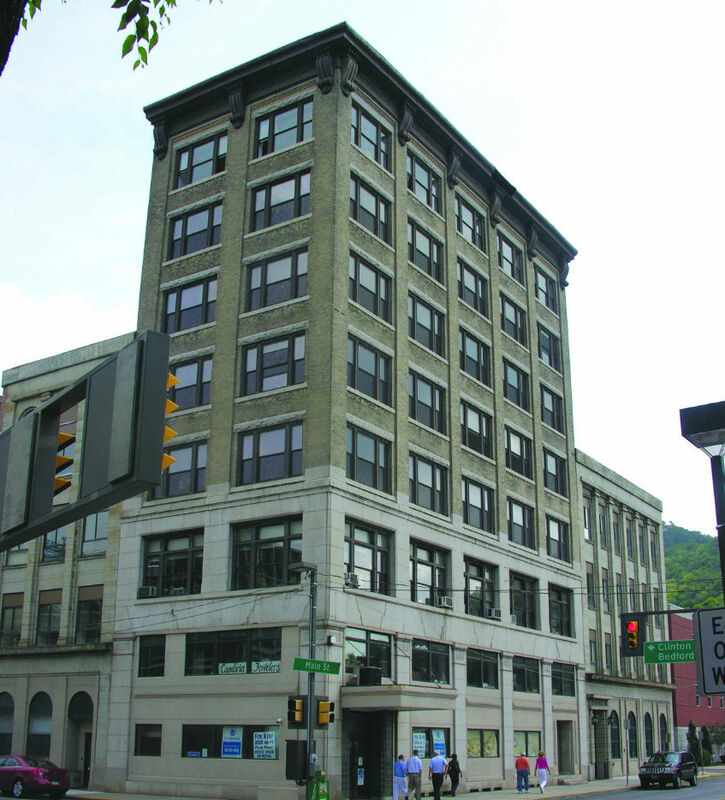 The former Tribune building, built in 1883, is a survivor of the Johnstown Flood. 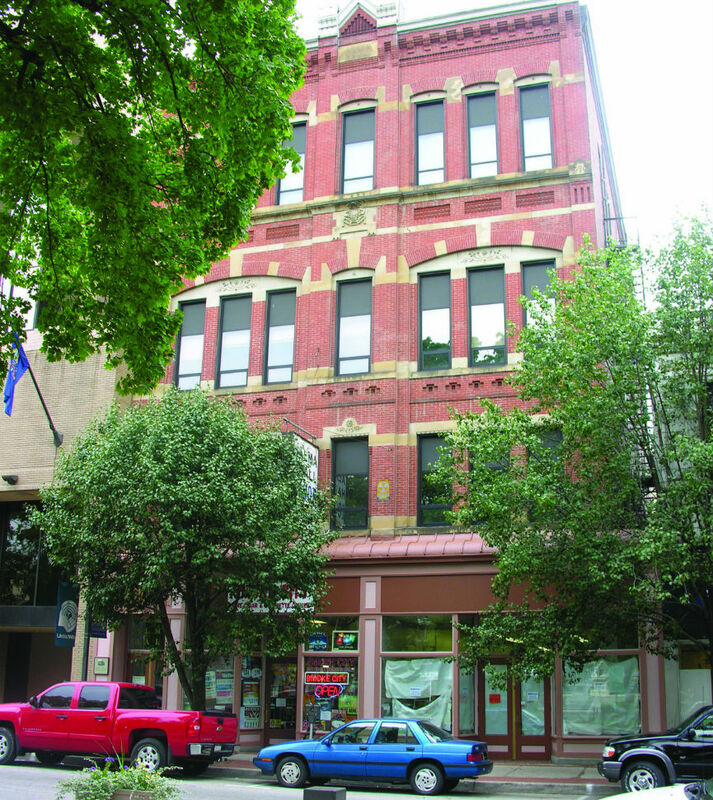 On the rainy Friday of May 31, 1889, George T. Swank, editor and publisher of the Johnstown Tribune, was preparing the weekly issue of the paper on the second floor of this building. At 2:30 p.m. he noted that the water stood about a foot deep on Franklin Street and that the current was flowing from Stonycreek River toward Main Street at about 6 miles per hour. 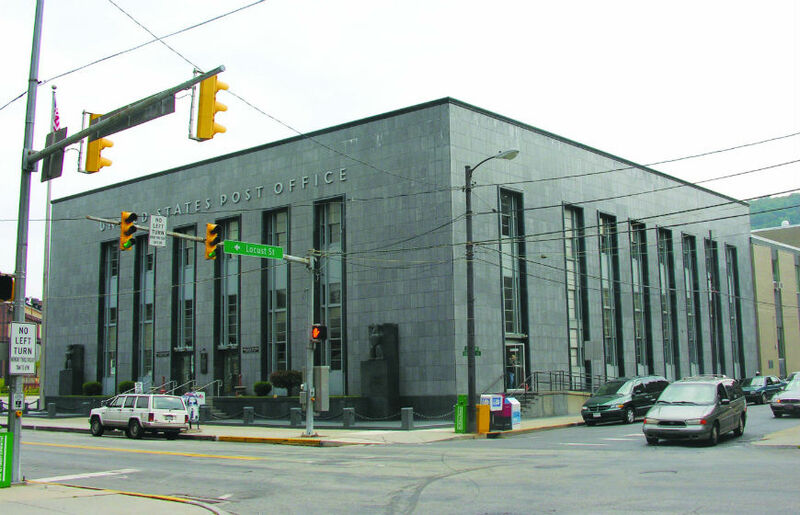 Downstairs, the Tribune staff had given up trying to print the newspaper and was restlessly awaiting the recession of the waters, as was the rest of Johnstown. Swank had soothed the fears of Johnstowners about the South Fork Dam for years. If it were to break, he assured, it would cause little damage because it would spread out over the valley floor. But even Swank now felt grave concern. “It is idle to speculate,” he wrote, “what would be the result if the tremendous body of water . . .should be thrown into the already submerged Conemaugh Valley.” The lake water was tearing out of the broken dam on its way to Johnstown when Swank was writing the above quote.